Those two words we dread nowadays as the superhero sub-genre continues to flourish financially and thus take up most of the screens at the local theater each weekend: origin story. We dread them because they typically are mentioned due to reboots of heroes we are already so familiar with, their origins are like that tale your Uncle tells every single year at the Thanksgiving dinner table. Spider-Man is abandoned by his parents, lives with his Aunt and Uncle and gets bit by a super special arachnid. We get it. A wee little Bruce Wayne walks down a dark alley with his parents when a shady criminal spills the blood of the elders, a memory that haunts him until the day he decides to don the cape and cowl and beyond. Been there, done that. The imaginative and highly skilled Christopher Nolan at the helm of the story of the Dark Knight though? Yeah, I would watch that. Over and over and over again, because Batman Begins is dark and delicious fun. Gotham is bathed in shadows and plagued by a violent, seedy underworld, yet despite the serious tone and cold aesthetic I am unable to take my eyes off of the ominous, gloomy world built by Nolan here. The rain pours down and each frame feels crisp and alive, appropriate for the moment. The revival of a character beloved but absent from a good film in over a decade prior to Nolan stepping in to bring him back from his Joel Schumacher induced cinematic death. It was a wonderful feeling, sitting in that cinema shortly after this film was released and feeling all of the pessimism and ugliness associated with Batman on the big screen wash away. Batman Begins is the way an origin story should be done, and I can't help but wonder if the showrunners of the new Daredevil Netflix series were influenced by this one when they began crafting their rather brilliant series. Spread out over thirteen hours rather than a mere two, it is difficult to compare the two in terms of storytelling and character development but the tone and the atmosphere feel remarkably similar. 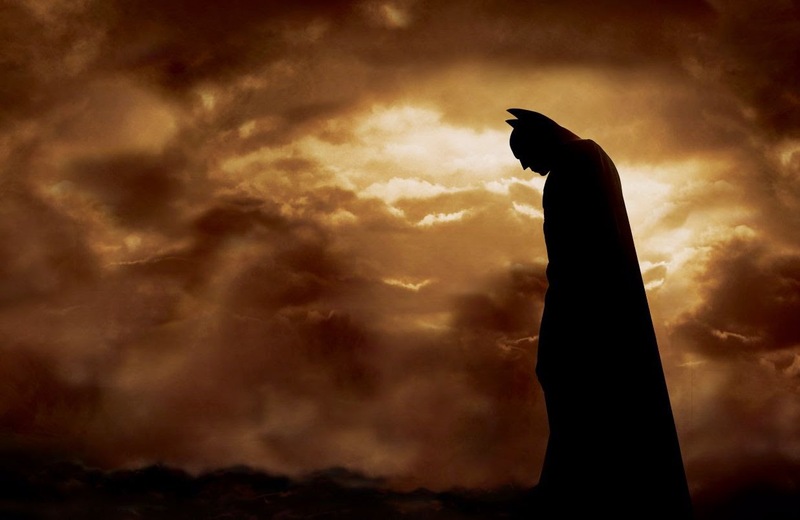 If Batman Begins was in fact the model to build off of, they picked a wonderful picture to replicate.